I have had a lot of wall safes over the years. Every time I move to a new place I make sure there is a wall safe. It is just not normal for me to leave all my jewelry and expensive things lying around in the house just waiting to be stolen and besides, I’ve had two house robberies so far when I was in New York and I can’t even explain how dreadful it would be for me to experience that again! All my precious things were stolen and I had to start over, that’s why I’m so paranoid about keeping a safe in my home now. The first safe I ever got was not a wall safe, it was a normal one I kept under my bed. Very cheap, I got it for 9.99$ on sale two Christmases ago. A year later I decided to change my safe into the real deal thing. I wanted one built in my wall but at the same time I didn’t want one that’s too expensive. Something like 200 – 150$ would probably fit my budget. 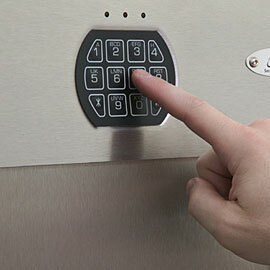 The safe I am currently using, and have been using for the past three years, is excellent. Every time I go out I don’t stop to think for a second that something could possibly happen to my precious and valuable things because I know that they are safe and secure in my bank. The best thing about it is that I keep it hidden behind a mirror in the living room. If I were a guest to my home I would never suspect anything is behind that mirror and the most amazing thing is that I only had to pay 129.99$ for it. I think it was on sale when I bought it. I actually had it shipped because I bought it online. 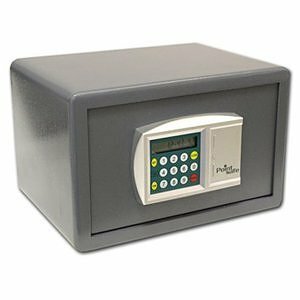 I am so satisfied and happy with my bank that’s why I say that the Sentry Safe protection wall safe is the best wall safe in the world.